Anne Maria (Moreno) Cardaci, 86, of Norton, MA, passed away peacefully on Saturday, September 16, 2017 at Life Care Center of West Bridgewater in West Bridgewater, MA. She was the beloved wife of the late Michael Mario Cardaci, Sr., who died on July 13, 2017. Born on January 23, 1931 in Boston, MA, she was the daughter of the late Carmelo and Maria (Pezzino) Moreno. A graduate of Medford High School, she worked for many years as a Waitress for various businesses in the area. Prior to residing at Life Care Center, she lived in Norton, MA for two years, and previously in Wrentham, MA, where she attended St. Mary's Church. Anne was a warm and caring woman who loved being with her family. She delighted in cooking for them and for others, and always enjoyed music and gardening. She had a special place in her heart for her late dog, "Shane". She was the loving mother of Lawrence Cardaci of New Mexico; Paul S. Cardaci and his wife, Mary Cardaci, of Salisbury, MA; and the late Michael Mario Cardaci, Jr. Anne was the adoring grandmother of Loren E. Carbone and her husband, Alex T. Carbone; Marissa Santarpia and her husband, Judson Santarpia; James Cardaci; and John Cardaci; and great-grandmother of Alex Machado, Cianna Cardaci; Sadie Carbone; and Isabella Cardaci. She was the sister of the late Pravidence Moreno and Salvator Moreno, and leaves several nieces and nephews. Family and friends are invited to honor and remember Anne by gathering for a Visitation with on Saturday, September 23, 2017 from 3:00 p.m. – 4:00 p.m. in the “Memorial Chapel” of the Dyer-Lake Funeral Home, 161 Commonwealth Avenue, Village of Attleboro Falls, North Attleboro, MA, immediately followed by a Funeral Service at 4:00 p.m. at Dyer-Lake Funeral Home. A children's room is available during the visitation and funeral service. For additional information or to send the family a written expression of sympathy, please visit an online guest book at www.dyer-lakefuneralhome.com. WRENTHAM – Melvin F. Gouthro, 86, of Wrentham, passed away Saturday, August 26, 2017, at home after a period of declining health. He was the beloved husband of Mary T. (King) Gouthro of Wrentham. Born on June 6, 1931, in Boston, MA, he was the son of the late Melvin and Catherine (DeDieu) Gouthro. He grew up in Roxbury, MA, and Jamaica Plain, MA, before moving to Wrentham in 1976. He graduated from Boston Technical High School and not long after graduation enlisted in the United States Coast Guard in 1948; he was a Vietnam veteran and retired at the rank of LCDR in 1976. The beginning of Mel’s Coast Guard career was marked by his involvement in one of the most notable rescues in U.S. Coast Guard history off the coast of Chatham, MA, in 1952. Over 60 years later, “The Pendleton Rescue”, was the basis for a book and movie called, “The Finest Hours”. Mel served as a “consultant” during the researching of the book and production of the film and cherished his involvement and time spent with fellow Coast Guardsman, Andy “Fitzy” Fitzgerald. Following his Coast Guard career, he worked for many years with Boston Fuel Transportation and briefly with Carpenter and Paterson, Inc. in Woburn. An avid Civil War buff, he enjoyed reading about and traveling to Civil War battle fields. He enjoyed traveling to Cape Breton, Nova Scotia and the southeastern United States with Mary and was always willing to give a tour of Boston to anyone who was visiting from out of state. In recent years, Mel volunteered at Milford Regional Medical Center, never missing a day unless he was hospitalized. He was a communicant of St. Mary Church in Wrentham and served the church in many capacities over the past forty years. In 2014, Mel was honored and recognized for his service as recipient of the Cheverus Award by the Archdiocese of Boston. 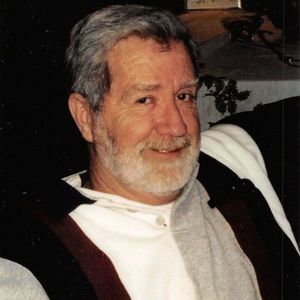 In addition to his wife, Mel is survived by his seven children and their spouses: James and Jean Gouthro of Walpole, Steve and Lee Anne Gouthro of Ft. Walton Beach, FL, Mary Gouthro Lussier of Manville, RI, Mel and JoAnn Gouthro of Franklin, Philip and Carol Gouthro of Walpole, Claire and Jim Robbins of Franklin, and Nancy and Rob Schreiber of East Haven, CT. He will also be dearly missed by his seventeen grandchildren, as well as two great-grandchildren; his sister, Claire Gouthro Healey of Halifax, and many nieces, nephews and friends. A Mass of Christian Burial will be held at 10 a.m. on Thursday, August 31, 2017, at St. Mary Church, 130 South Street, Wrentham. Burial will follow at the Wrentham Centre Cemetery. Calling hours are 4-8pm on Wednesday, August 30, 2017, at RJ Ross Funeral Home, 135 South Street, Wrentham, MA. To sign the guest book, please visit www.rjrossfuneralhomeinc.com. In lieu of flowers, charitable donations may be made to St. Jude Children’s Hospital, Memphis, TN or the Wrentham Visiting Nurses, Wrentham, MA. The family would like to thank the volunteers at MRMC for their kindness and support, Home Helpers of Canton, MA and Steward Hospice for their compassion and care. In 2016, Mel Gouthro allowed me to interview him to discuss what it was like being depicted in the film "Finest Hours" about rescue of the Pendleton. Here's a link to the story - "The Finest Hours" tells story of Wrentham man’s role in historic sea rescue. William A. MacKenzie, age 79, passed away peacefully in his daughter's home in Blackstone, Massachusetts on Wednesday, July 19, 2017, surrounded by his loving family. Born in Norwood, Massachusetts on November 26, 1937, he was the son of the late Fred and Mary (Reed) MacKenzie. He was raised in Norwood before moving to Walpole with his family at the age of 15. He met his wife to be, Marjorie A. Smith, in 1952 and the two went steady all through high school. After graduation, Bill asked Margie to marry him just prior to enlisting in the United States Air Force in 1955. During his first year, he was stationed at Toole Air Force Base in Greenland, serving as the company clerk. After his return to the United States, he married Margie on June 22, 1957, and the young couple obtained a trailer, which become their home for the next couple of years. Bill was stationed in Fort Fairfield, Maine, and while living there, Bill and Margie welcomed their first child, Linda. He was honorably discharged in 1959, after earning the rank of Airman 2nd Class. Upon his discharge, Bill used his veteran's status to obtain a VA Loan to purchase his first house in Plainville on Ewald Avenue and quickly found work at the Kinney Shoe Store in North Attleboro. Bill has an eye for construction and found the old straw hat factory in Wrentham to be quite suitable to convert into a home. He purchases the factory and began working on it to create a main home for himself as well as two apartments to rent. After it was completed, he sold his house in Plainville and moved his family into the main house and used the apartments for extra income. While living in Wrentham, Bill and Margie welcomed their second and third daughters, Laura and Nancy. He took a position as the store manager of a shoe store in Dedham, however at the age of 35, he decided to change his career path and went to the police academy, taking his first law enforcement job as a patrolman with the Plainville Police Department. He went on to work as a police officer with the Norfolk Police Department before settling into his job with the Wrentham Police Department. Bill became involved in his community and after meeting a close friend, he became interested in the Free Masons, and within 5 years became the Master Mason of his Lodge. He continued to better himself and his career by returning to school and earning his Bachelor's Degree from Bryant College before taking the Sergeant's Exam and earning the rank of Sergeant with the Wrentham Police Department. After two of his children moved out on their own, Bill decided to sell his home on Shears Street to build his dream home on Sleepy Hollow in Wrentham. Bill developed an interest in building a coffee shop business and created the Cup and I in Wrentham, which over a few years grew into 4 stores and an ice cream shop. All of his family members lent a hand, including his wife, daughter, and nieces. Bill retired from the Wrentham Police Department as the Interim Chief in 1996, after 20 plus years of dedicated service. After retirement, he saw the changing times and sold his businesses and pursued his contractor's license. He began rehabbing houses and with each one sold, he wisely invested for his future with Margie. Once the housing market changed, Bill began working alongside a friend doing home improvements, before finally retiring at the age of 78. He and Margie decided to sell their home on Sleepy Hollow to purchase their retirement home on Flemming Island in Florida. Bill leaves his wife, three daughters, six grandchildren, and seven great grandchildren, in addition to many happy and wonderful memories with his family and friends over the years. Beloved husband of Marjorie A. MacKenzie. Loving father of Linda M. Pittsley and her husband Harold of Wrentham, Laura J. McClure and her husband Roger of Flemming Island, FL, and Nancy A. MacKenzie of Blackstone. Cherished grandfather of Lisa A. Chapin, Thomas A. Pittsley, Jessica L. Leonard, William M. Larson, David V. Amante, and Alyssa A. Guinard and great grandfather of Ariana L. Chapin, Madison R. Chapin, Emily P. Chapin, Owen M. Leonard, Ayla G. Leonard, Cora E. Leonard, and Lana O. Larson. Brother of Kenneth MacKenzie of AR, the late Donald, Phillip, and Fredrick MacKenzie. Relatives and friends are kindly invited to attend William's Life Celebration on Wednesday, July 26, 2017 from 4-7 PM in the James H. Delaney & Son Funeral Home, 48 Common Street, Walpole. A Funeral Home Service will be held on Thursday, July 27, 2017 at 10:00 AM. Interment will follow in Highland Cemetery in Norwood. In lieu of flowers, memorial donations may be made to: Saint Jude Children's Research Hospital, 501 Saint Jude Place, Memphis, TN 38105. Lieutenant John W. Holmes, 81, of Norfolk, passed peacefully on May 3, 2017 in Serenity Hill Nursing and Rehabilitation Center, Wrentham. He was the beloved husband of Vida E. (Kay) Holmes. John was born and raised in Norfolk on February 6, 1936, he was a son of the late Walter and Eva (Taylor) Holmes. He attended Norfolk schools and graduated from Walpole High School in 1953 (then the only high school for Norfolk children). He continued on to Northeastern University, where he graduated in 1958. John married his wife Vida Kay in 1956. They had four children, Nancy, Bob, Janet, and Julie, who were raised in Norfolk, just across the street from the “Holmes Homestead”. John owned and operated the first and only gas station in the center of town. John became a member of the Norfolk Fire Department in January of 1963. He also became a member of the Board of Health in 1965 and again in 1972. John was appointed a Special Police Officer in 1966. He was then elected to the Board of Selectmen in 1969 until 1972, when he became a full time Police Officer for the Town of Norfolk. In September of 1976, John was appointed Sergeant. In March of 1994 he was then appointed Lieutenant, until his retirement in June of 1999. John devoted most of his life to serving the Town of Norfolk. He also was an avid golfer and member of Franklin Country Club and the Norfolk Mens Golf League. He was also a longtime member of the Federated Church of Norfolk where he served as a deacon and trustee. He also served as a Court Officer for the Town of Norfolk. In retirement he greatly enjoyed spending time in Florida with best friends Bev and Ron Blazejewski. In addition to his wife Vida, John is survived by their children; Nancy Evans and her husband Jeff of Quakertown, PA, Robert Holmes and his wife Chris of Norfolk, Janet Goossens of Norfolk, and Julie Holmes and her husband Rick Nimick of San Diego, CA, grandchildren; Allyson, Brad and Kelsey Goossens, David and his wife Alyce, Elisabeth, Bekah, and Krista Evans, and great grandsons Kaulen and Dustin Evans. Also survived by a brother; Richard Holmes and his wife Diane of Norfolk, and Kay Holmes of Sunapee, NH, wife of his late brother David Holmes. Relatives and friends are invited to attend visiting hours on Friday, May 5, 2017 from 4-8 PM in the RJ Ross Funeral Home, 135 South Street, Wrentham. A funeral service will be held on Saturday, May 6th at 1 PM in the Federated Church of Norfolk, 1 Union Street, Norfolk. Burial will follow in Norfolk Cemetery. In lieu of flowers, donations in his memory may be made to: Federated Church of Norfolk, 1 Union Street, Norfolk, MA 02056. John’s last years were spent at Serenity hill Nursing Home and Rehabilitation Center. The family would like to thank all the staff for their excellent care. Reverend John Gerard Connolly, 80, formerly of Wrentham, Stoughton, and West Harwich, passed peacefully on December 28, 2015 in the Mary Immaculate Nursing and Restorative Center, Lawrence. Born in Portland, Maine on July 8, 1935, he was a son of the late Peter J. and Mary J. (Folan) Connolly. He was educated at St. Dominic’s School in Portland, Maine, St. John’s Grammar School in West Roxbury, and was a graduate of Cathedral High School, and St. John’s Seminary. He was assigned to Immaculate Conception Church in Stoughton for 12 years, St. Francis Xavier in South Weymouth for 18 years, and St. Mary’s in Wrentham for 12 years, where he was responsible for the the renovation of the church and construction of the new rectory. He later assisted in parishes in Bridgewater and Tyngsborough. Father Connolly was one of the original singing priests on television in earlier days. He enjoyed spending time on Cape Cod with his family and friends. Father Connolly is survived by his siblings; Mary Goulding of Portland, Maine, Sally Candelieri of Merrimack, New Hampshire, Peter Connolly of Billerica, and Francis Connolly of Reading, many nieces and nephews, grand nieces and nephews, and great grand nieces and nephews. He was the brother of the late Martin Connolly, Anne Cooper, and Kathleen Babarti. A receiving service will be performed on Wednesday, December 30th at 4 p.m. in St. Mary’s Church, 130 South Street, Wrentham. Father Connolly will lay in state in the church following the service from 4 - 8 PM. A funeral Mass will be celebrated on Thursday, December 31st at 11 a.m. in St. Mary’s Church. Burial will follow in St. Joseph’s Cemetery, West Roxbury. In lieu of flowers, donations in his memory may be made to: St. Mary’s Church, 130 South Street, Wrentham, MA 02093. Eleanor "Ellie" (Forrest) Marks, age 95, of Casselberry, Florida passed away November 8th, 2015. She was born May 5th, 1920 and lived in Malden, Massachusetts. She was a long term resident of Mirror Lake, Wrentham, MA where she raised her four sons. She later moved to Florida where she worked at Florida Hospital until she retired. She was a talented artist and an avid reader. She loved spending time with her dogs. She was preceded in death by her son Gregory Marks of Deltona, FL and survived by her sons Geoffrey Marks of Casselberry, FL, Grover Marks of Spring, TX, and Gary Marks of Casselberry, FL. She was the beloved grandmother of Jennifer Marks, Michael Marks, Judith Marks, Robert Marks, Frederick Marks, and Jered Marks, and great-grandmother of Allan McCoy, Sean Patrick Marks, and Archimedes Marks. Donations in Eleanor's memory can be made to Hospice of the Comforter, 480 W. Central Parkway, Altamonte Springs, FL 32714. Helen May Lanagan, 75, of Wrentham, passed peacefully in the Philip Hulitar Inpatient Center in Providence on June 26, 2015. Born in Wrentham on October 31, 1939, she was a daughter of the late Edwin and Pauline (Rand) Larsen. Helen was educated in Wrentham schools. In earlier days she worked as a secretary at the former Sansone Brothers in Sharon. She was an excellent knitter, enjoyed going on walks, liked to tell jokes, and was an avid roller skater. Her greatest joy was in spending time with her family. Helen is survived by her three children; Stanley E. Lanagan, Jr. and his wife Shari of Wrentham, Laurie Lanagan of New Bern, North Carolina, and Edwin Lanagan and his wife Donna of East Taunton, a brother; Edwin Lanagan and his wife Shirley of East Sandwich, a sister; Dorothy Larsen of Wrentham, six grandchildren, and five great grandchildren. Relatives and friends are invited to attend visitation on Wednesday, July 1, 2015 from 4-8 PM in the RJ Ross Funeral Home, 135 South Street, Wrentham. Her funeral will be on Thursday, July 2nd at 9 AM in St. Mary’s Church, 130 South Street, Wrentham. Burial will follow in Wrentham Center Cemetery. In lieu of flowers, donations in her memory may be made to: Home and Hospice Care of Rhode Island, 1085 North Main Street, Providence, RI 02904 or www.hhcri.org. George T. Cronin, Sr., 83, a lifelong resident of Norfolk, passed peacefully on April 16, 2015 in Tufts Medical Center, Boston. He was the beloved husband of Shirley (Meda) Cronin. Born in Norfolk on October 16, 1931, he was a son of the late Thomas and Helen (McMullen) Cronin. George was a graduate of Boston Trade School, Class of 1949. He was the founder and owner of G. Cronin & Sons, a fuel oil distribution company. He served on the King Philip Regional School Committee and as Town Moderator in Norfolk. An avid golfer, he was a longtime member of the Franklin Country Club. He played hockey on local town teams and coached his daughters in softball and sons in Little League baseball in earlier days. He spent many winters as a resident of Hernando, Florida. In addition to his wife Shirley, George is survived by six children: George T. Cronin, Jr. and his wife Jan of Norfolk; Michael Cronin and his wife Heidi of Norfolk; Kathleen Herd and her husband Gerald of Indiantown, Florida; Jeanne Boulter and her husband Reeve Scott of Norfolk; Nancy Cronin of Whitefish, Montana; and Judith Beck and her husband Edward of Norfolk; a brother John Cronin and his wife Mary of Sturbridge; sixteen grandchildren; and eleven great grandchildren. He was the brother of the late James Cronin and Arthur Cronin. Relatives and friends are invited to attend visiting hours on Sunday, April 19th from 3-7 PM at the RJ Ross Funeral Home, 135 South Street, Wrentham. A funeral service will be held on Monday, April 20th at 10:30 AM at the Federated Church of Norfolk, 1 Union Street, Norfolk. Burial will follow in Norfolk Cemetery. In lieu of flowers, donations in George’s memory may be made to Norfolk Norfolk Baseball Association, PO Box 176, Norfolk, MA 02056 or the King Philip Ice Hockey Program, c/o King Philip Regional School District, att: Paul Schaefer, 18 King Street, Norfolk, MA 02056 The Cronin family wishes to extend appreciation to the doctors, nurses and staff at Tufts Medical Center for their kind and compassionate care of George.